I love cheeseburgers, it's one of my favorite foods. I could be within walking distance of a multitude of restaurants, perhaps even Michelin star rated ones, but I'd be just as happy at In-N-Out. 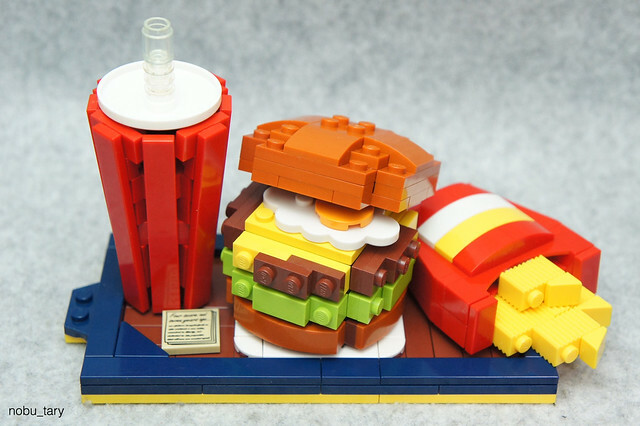 And now of course I'm going to have to have a burger for lunch because of this awesome MOC by nobu_tary. It's also the first use of the new Unikitty base I've seen and it's brilliant.